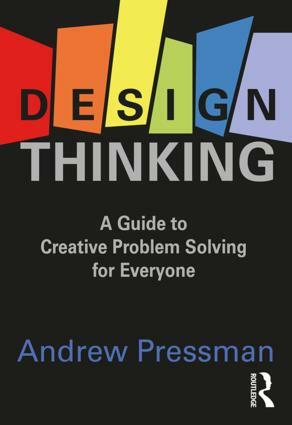 Design Thinking: A Guide to Creative Problem Solving for Everyone by Andrew Pressman, FAIA, will assist in addressing a full spectrum of challenges from the most vexing to the everyday. It renders accessible the creative problem-solving abilities that we all possess by providing a dynamic framework and practical tools for thinking imaginatively and critically. Every aspect of design thinking is explained and analyzed together with insights on navigating through the process. Pressman is an architect and professor emeritus at the University of New Mexico, an adjunct professor at the University of Maryland, and leads his own architectural firm in Washington, DC. He has written numerous critically acclaimed books and articles, and he holds a Master of Design Studies Degree from the Harvard University Graduate School of Design.